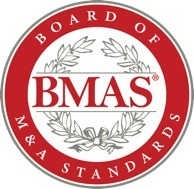 The Board of M&A Standards (BMAS) will endorse or accredit programs, books after an “Application for Endorsement” is submitted and a BMAS assessment is completed (download form on this page). The most trusted M&A guidebook available, this step-by-step guidebook is all you need to know where to look―and what to look for when conducting M&A due diligence. This thoroughly revised edition provides you with updated facts on integration of compensation plans, new FASB and GAAP accounting rules, strategies for merging IT systems and processes, and more. Packed full of "how to" guidance, tools, templates and resources, The Complete Guide to Mergers and Acquisitions is the ultimate handbook for planning and managing post-merger integration. Valuation is the single best guide of its kind, helping financial professionals worldwide excel at measuring, managing, and maximizing shareholder and company value. Investment Banking is a highly accessible and authoritative book on how to perform the valuation work at the core of the financial world.